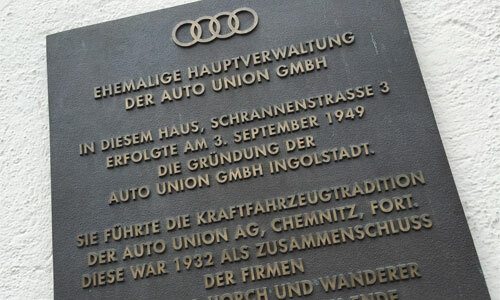 Ingolstadt is known for its premium car maker Audi, but in the digital world domain it doesn´t feel like the automotive industry is spear-heading the digital revolution - well let´s say the german car industry at least. When I look at german car makers sites nothing much changed in the last year: driven by legal compliance and a huge stake of the car dealership there are more or less well performing but somewhat awkward and painstaiking configurators, which are joyful like excel sheets and huge energy efficiency labels like for washing machines. Can I buy a car online? Where do I find the maximum car speed but in Autobild? Does anybody care when I fill out a contact form - sometimes not the case. The picture in eCommerce is much different: An eagerness to compete with the pure players, a soaring growth rate of the digital channels and an ever growing demand in striving for better serving the customers, for higher UX-goals. Well, I´m happy to be back.